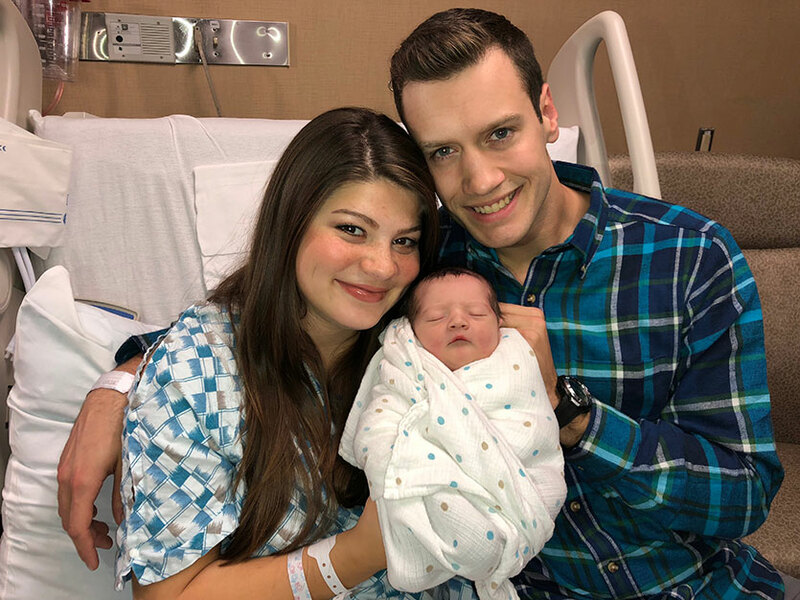 Tori and Bobby Smith are still on cloud nine after the arrival of their first child, Kade Smith. We posted a few unofficial snapshots from Bates family members earlier this week, but UPtv has just shared its official baby announcement and photos. 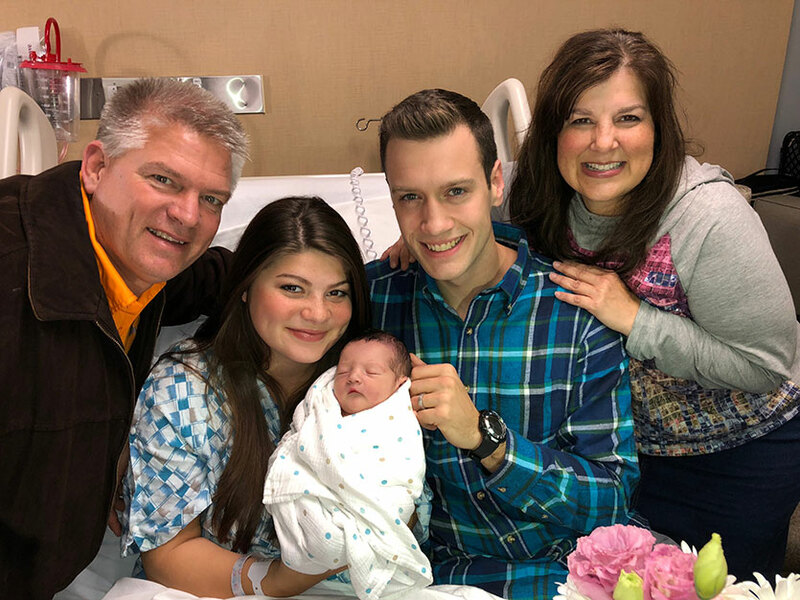 When a new Bates grandchild is added to the fold, proud grandparents Gil and Kelly Bates are never far away. They were eager to visit the family of three at St. Thomas Hospital in Nashville. We know you are all eager to hear the details of the birth, but those have not yet been released. The Smiths' plan was to deliver in one of the hospital's state-of-the-art birthing center rooms under the care of a doctor. However, the final decision on whether a candidate qualifies for the birthing center or must utilize one of the regular labor and delivery rooms is made by hospital staff once labor has begun, based on availability and medical requirements. Additional photos can be found on the UPtv website. Where are the Smith grandparents? where are Bobby's parents? seems like they're getting cut out. No need to assume drama. Maybe they haven't been able to travel to see them yet. They live in Florida. Maybe they couldn’t come right at the time of birth. It doesn’t mean they are getting cut out. I am sure they will visit when they can. They also have multiple grandchildren. They are not the family this blog is about. 15 days is not “much” earlier than expected. Its well within the normal limits of a due date. Exactly. My Dr. told me 2 weeks before or 2 weeks after a due date is when we should realistically be on baby watch. I delivered 3 weeks ahead of my due date so a bit of a surprise , but still wouldn’t call it much earlier than expected. Looks like all went well with Kade, and am happy for everyone. Congratulations on your baby boy hes adorable! Cherish this time it goes by like a flah. Is Kade the first grandchild in the Smith family? Congratulations to the Smiths on Baby Kade! He is adorable. I also want to thank Bobbi and Tori for allowing us to share in their lives, openly. I would like to ask that people be more considerate in their comments, majority are, but some are just pushing it. We must consider that Bobbi’s parents live out of state, and not all parents and grandparents can be at a child’s birth. Quite possible Bobbie and Tori were told to limit the amount of visitors to the hospital. Think about it folks....the camera crew (approx. 5-10 people) siblings and spouses, friends etc. I am an RN and I can say that when you have a high profile patient, and the Bates and Smith’s are high profile; that lotsa visitors can be disruptive to the other patients and puts demands on the staff which is already short handed. I am quite sure security was involved in helping keep the ebb and flow of visitors for as least intrusion as possible. A final comment on this as well, Tori needed her rest and recuperation. Tv makes having a baby seem like the easiest thing to do. It is not! The woman is exhausted, hubby too. The baby needs time to bond with his parents so too many visitors causes much more stress and the needs of the mom become challenging. I am also pretty sure that Bobby kept his folks updated and most likely as high tech this family is, it was FaceTimed or other video chatted to them! Congratulations again, and what a cutie pie you have.